I wonder if he will turn down police protection if the officer is white? The Rev. Al Sharpton claimed Sunday that he’s received death threats in the wake of execution-style murders of two NYPD officers in Brooklyn. 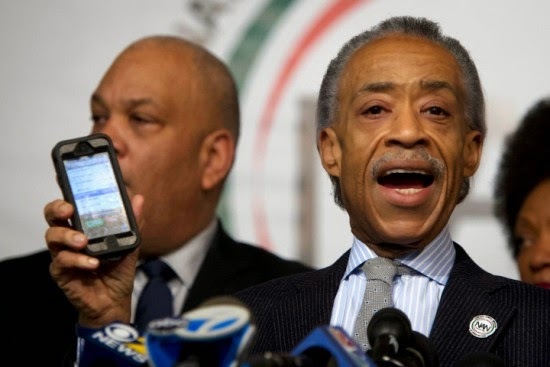 Sharpton, appearing alongside the wife and mother of Eric Garner, played a voicemail for reporters purportedly of a racist threat made against him. KKK allegedly puts $1,000,000 BOUNTY on AL SHARPTON's HEAD, according to INSIDER information provided by the NAAWP! What did AL SHARPTON get “2 DEAD COPS”!